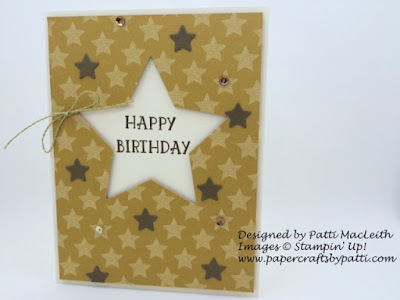 Papercrafts by Patti: Step It Up! 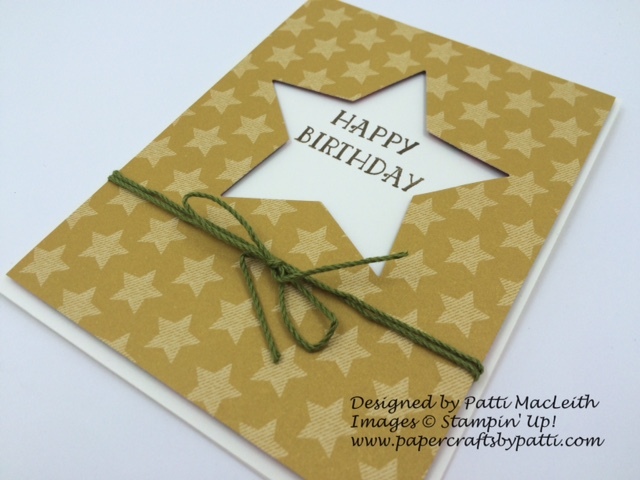 I really like this card and how it turned out for my brother-in-law's birthday next week. Clean and simple, right? Then I thought, "How can I make this a little dressier and more feminine? Voila! I added some punched stars over the printed ones, a few sequins and gold cording in one of the corners. 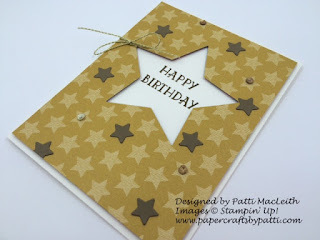 My designer series paper from the Warmth and Cheer stack in the holiday catalog is popped up with Stampin' Dimensionals. The card base is Very Vanilla. My Early Espresso sentiment is from Number of Years stamp set. 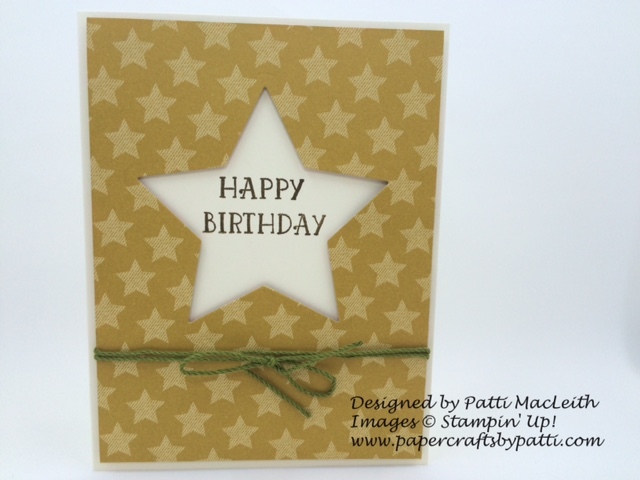 Those tiny stars were cut using the Perfect Pines Framelits. I hope you enjoyed looking today. Won't you please let me know you were here by leaving a comment? 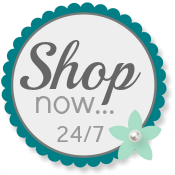 Please use my Online Store any time you need Stampin' Up! supplies!